"Thank you for all you did to help ensure her academic success. You were a teacher and a friend…a confidant and a motivator." "I thank you for your support, kindness, patience and flexibility which changed our world." "You were able to educate our whole family about (our daughter's) weaknesses and gave us the tools to support her." "You were there for us at our most difficult time…you showed us the light." These are challenging times for both students and their parents. School curricula and proficiency testing are more demanding than ever, especially if the student has special needs. The college selection and entrance process is more complicated than ever. Our schedules are more hectic than ever. So, why do so many families choose Educational Resource Center? Because we help reduce academic frustration. Because we offer individualized programs, proven to help students discover their unique learning style. Because we empower, motivate, encourage, and guide. 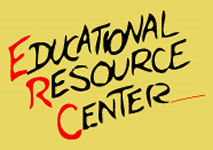 Educational Resource Center of Livingston, owned and directed by Laurie M. Levy, is a full-service educational facility that gives students the tools to take responsibility for their own learning and achieve academic success. ...to provide educational guidance to students so that they can maximize their individual strengths and achieve their personal best.